Bring your Honda to Byrd's Auto Service and we will guarantee your car is handled by those who care deeply about your car and repairing it quickly and efficiently. Our technicians in Raleigh, NC, have a wealth of knowledge about Honda's history and maintenance. Honda, the Japanese automaker that's delighted us with the S200, Del Sol and countless other cars over the years is a staple in dependable motoring. The Japanese automaker is known for its reliability and durability, making its models some of the best-selling in their class. Combining simplicity with great engineering, Honda has carved out a sizable bit of market share with its cars. 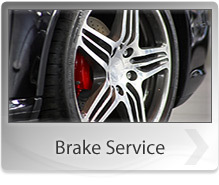 If your Honda needs maintenance or repairs, visit Byrd's Auto Service in Raleigh, NC for great service you can trust. At Byrd's Auto Service, our staff of highly-trained technicians has a wealth of Honda repair and maintenance knowledge. We're conveniently located in Raleigh, NC, 27610, and our staff is waiting to assist you. Please, call us or visit us. We're waiting to answer your questions. Friendliness is one area our staff excels greatly at and something we here at Byrd's Auto Service pride ourselves on. 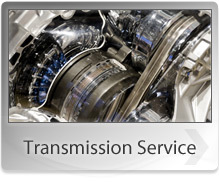 Our Honda repair and maintenance technicians will get you and your car back on the road quickly. You can give us a call at 919-779-2689 to schedule an appointment or have your questions answered.